Perceptions and goals vary from one individual to another. While a few begin their careers after graduation, most opt for Post-Graduation courses in their field of interest or specialization. The sky is the limit with numerous specializations and vocational courses in various fields of studies like Commerce, Humanities, and the Sciences. One can find hundreds of colleges to pursue their higher education, the grit though lies in choosing or realizing your ideal field of study. For some, the PG Course would be the last resort to change from one specialization to another provided it is of the similar field of studies. If you have a penchant for accounting, taxation, numbers, business, finances and so on. And, having pursued commerce as your field of specialization in best colleges, one of the next steps to solidify the foundation for a successful career would be pursuing Post-Graduation in Commerce. In a layman’s language, commerce is a common field of expertise for business, economics, everything right from buying and selling, exchange of goods, creating business opportunities, to investing and distribution of products. E-commerce is one of the fast-evolving branches of commerce that entails the buying and selling of products through an online platform. 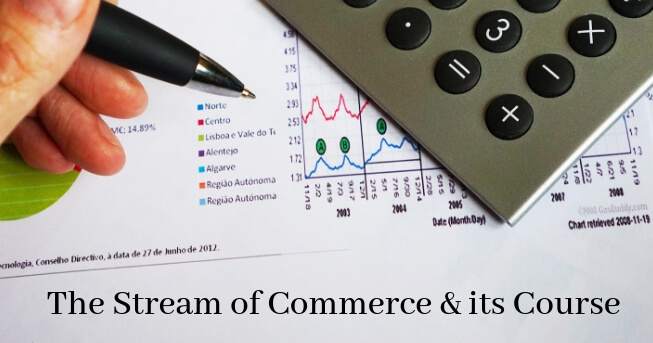 The objective of Commerce as a specialization is to deliver multi-disciplinary knowledge. It opens the door to become a part of the business world of corporate, small and medium businesses, banks and insurance, audit consultation firms, and the e-commerce sector. Over the decades, the discipline of Commerce has changed and evolved with a broad spectrum of specializations and career options. The colleges offering commerce as a discipline have a collective objective of developing knowledge, skills, aptitude, and attitude for successfully handling and mastering commerce in small and large businesses and corporations. The M.Com syllabus offers opportunities to foray into a wide range of businesses and career prospects. Some of the colleges also facilitate different specializations integrated with project and internships. Many colleges offering Commerce as a discipline are coming up in Bangalore with the rising popularity of the IT city. Some of the best UG Colleges in Bangalore with many years of experience in the field of education believe that rising industrialization will change the global economy which will see an increase in the foray of the multinational companies in Bangalore. And hence, a broad range of responsibilities spanning diverse roles and functions right from finance to banking to accounting, and taxation to logistics and even research are made available to the Commerce students. Post-graduation in Commerce also opens windows to research programs that will further help you pursue Doctoral Degree (Ph.D.) in Commerce. The best PG Colleges in Bangalore have produced motivated, innovative, post-graduates in the field of Commerce. The post-graduates of these colleges have taken up versatile roles of accounting, finance, logistics, taxation, banking and more. The best colleges inspire graduates to apply their higher order of critical, analytical problem-solving and other transferable skills. When opting for M.Com Admission in Bangalore, one has to ensure that they choose a college that will prepare the student beyond the Commerce academics.